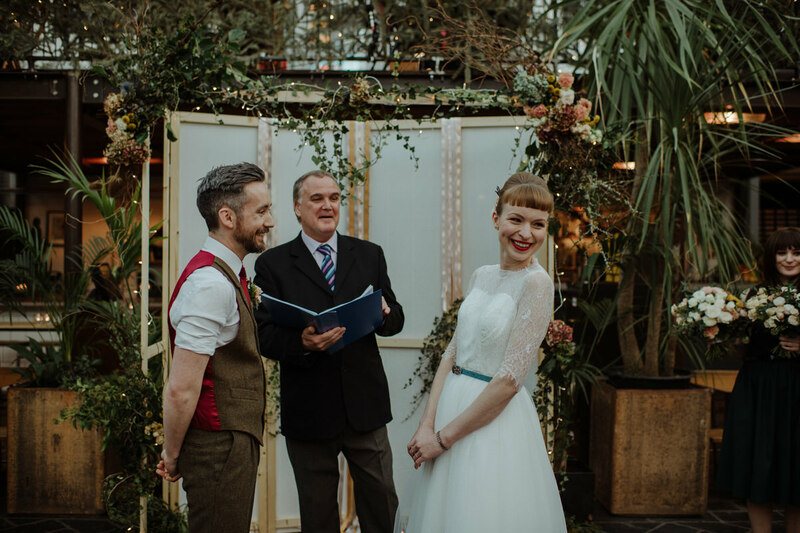 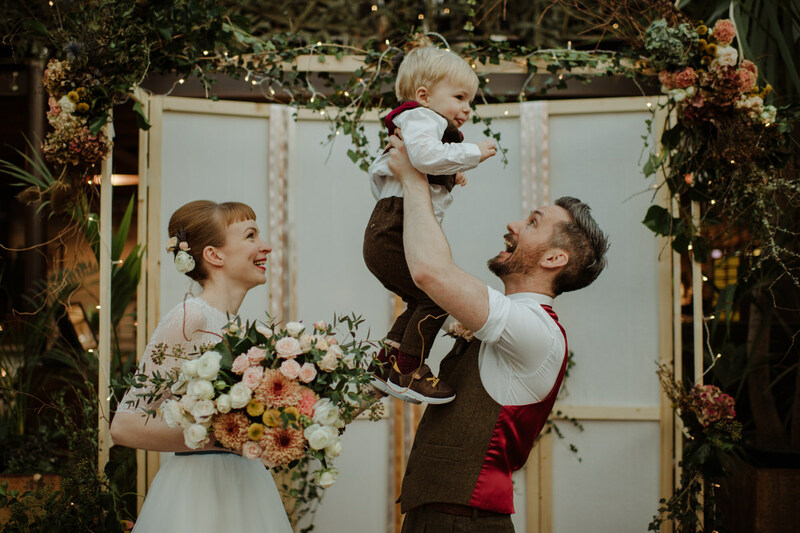 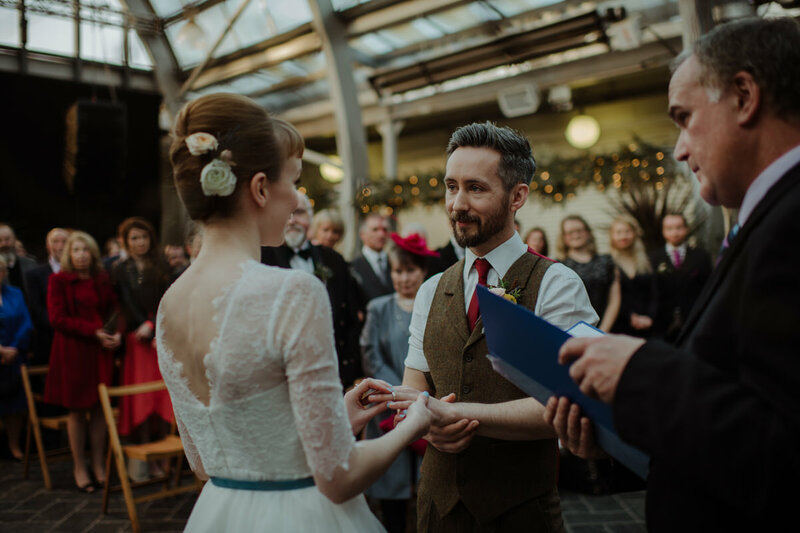 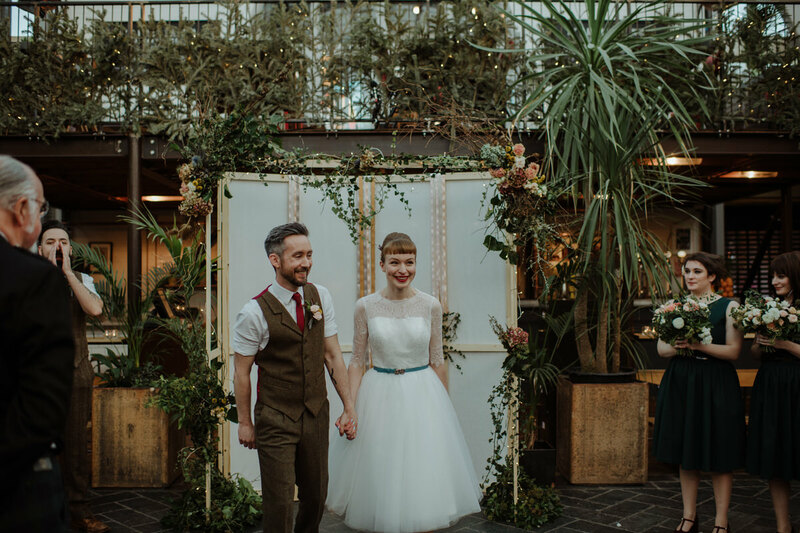 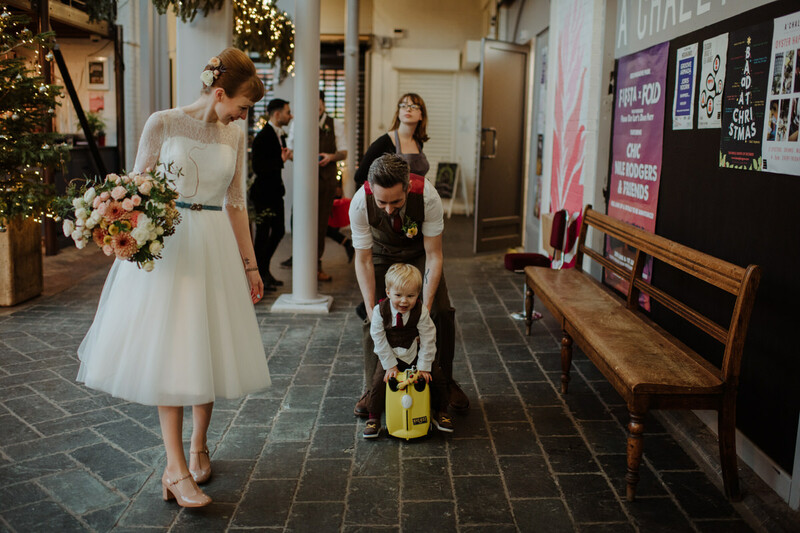 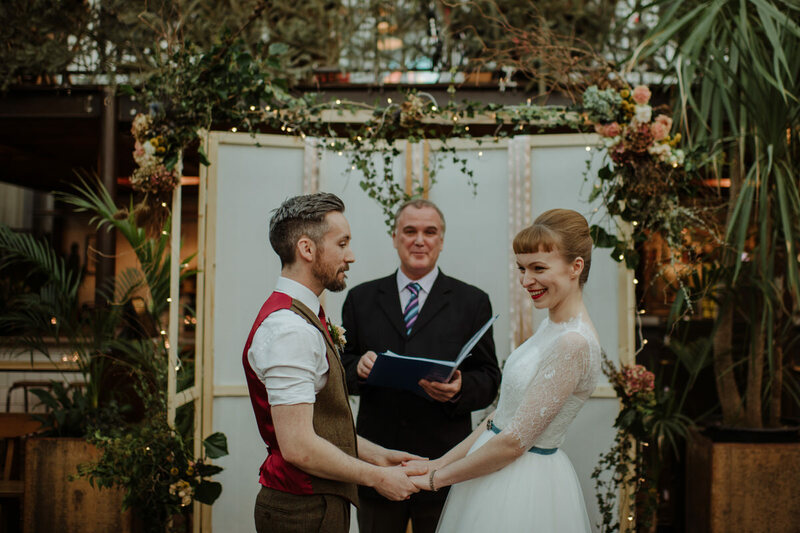 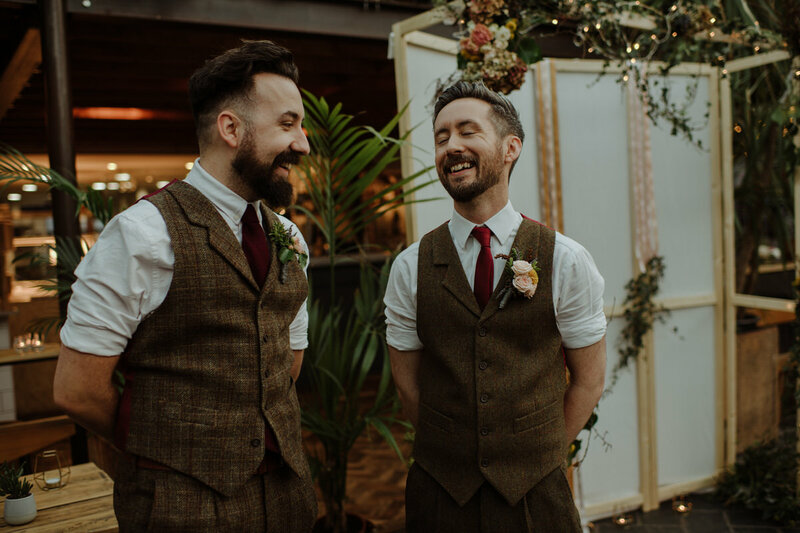 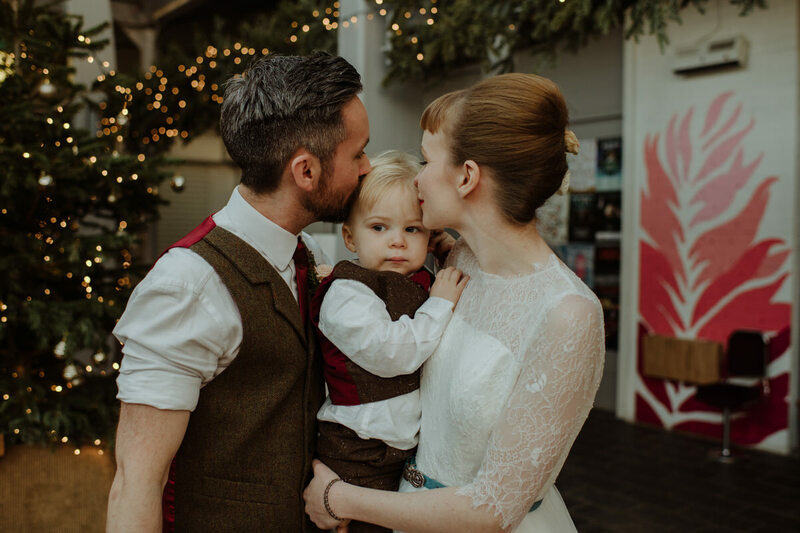 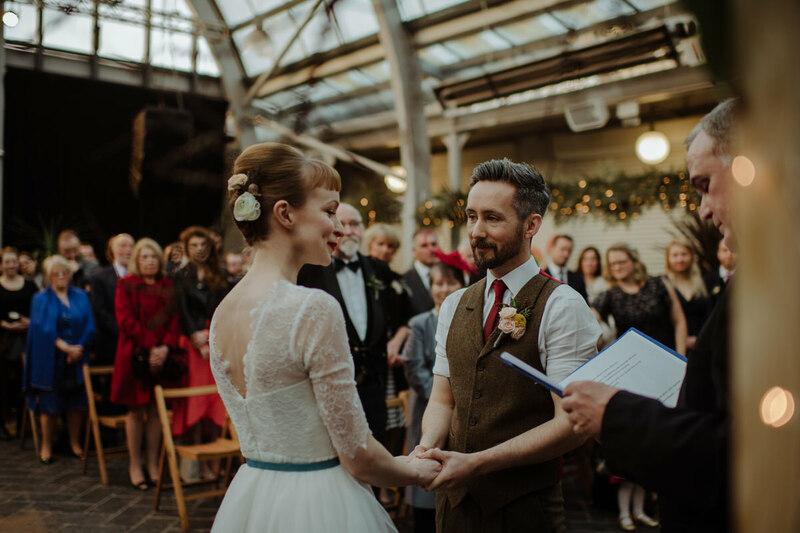 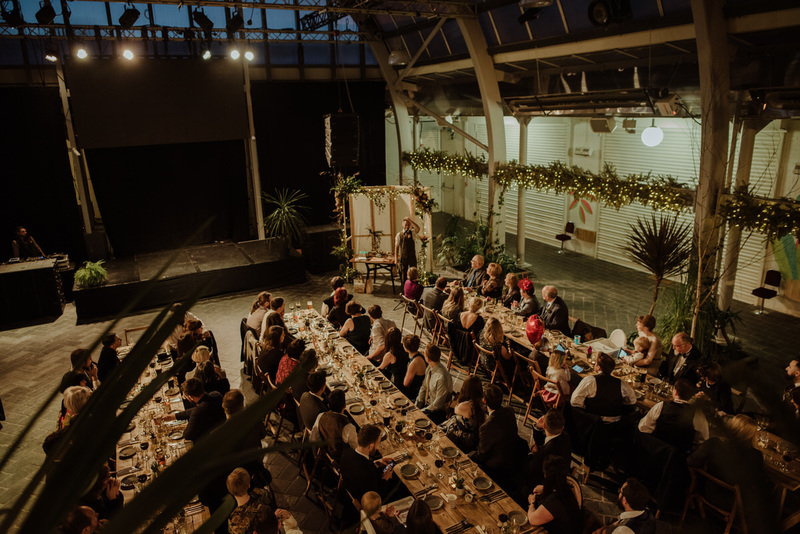 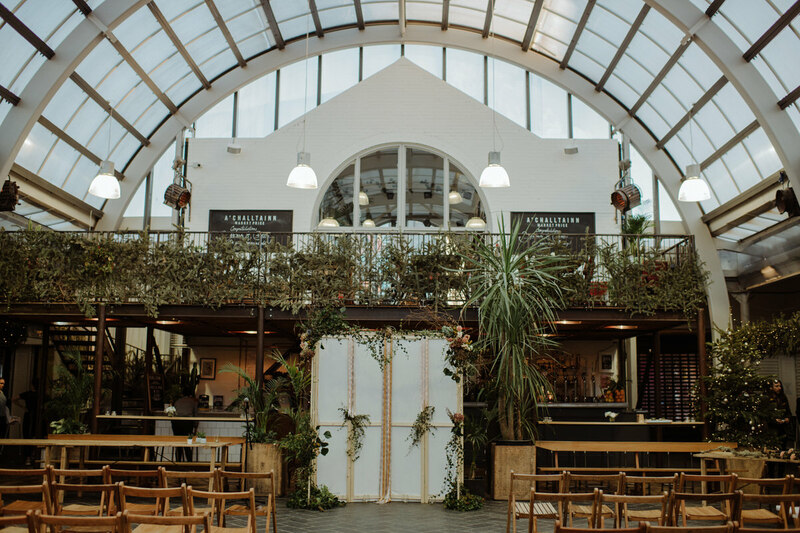 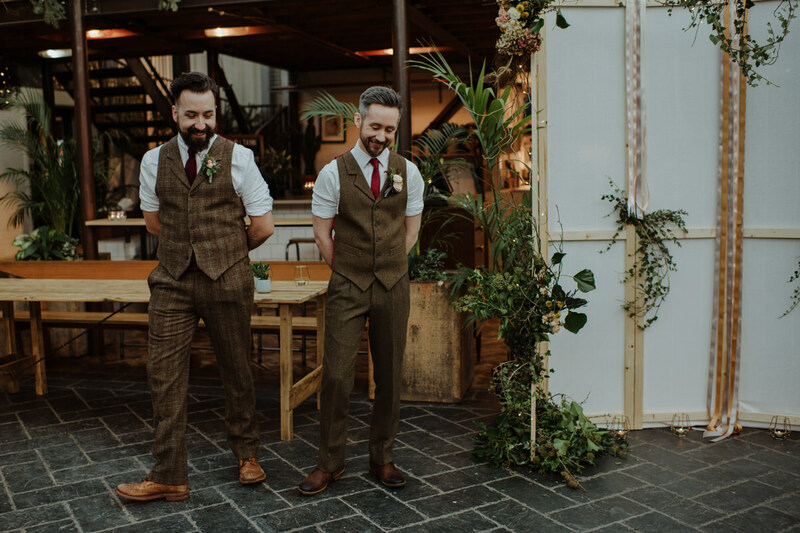 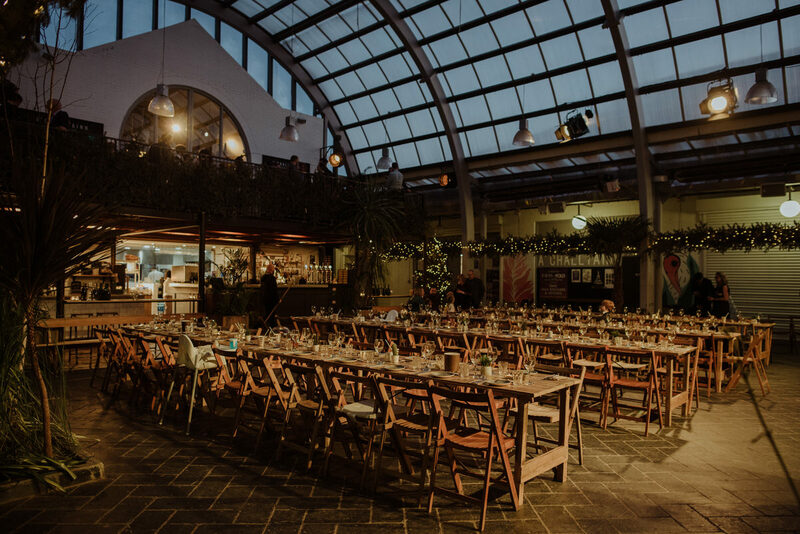 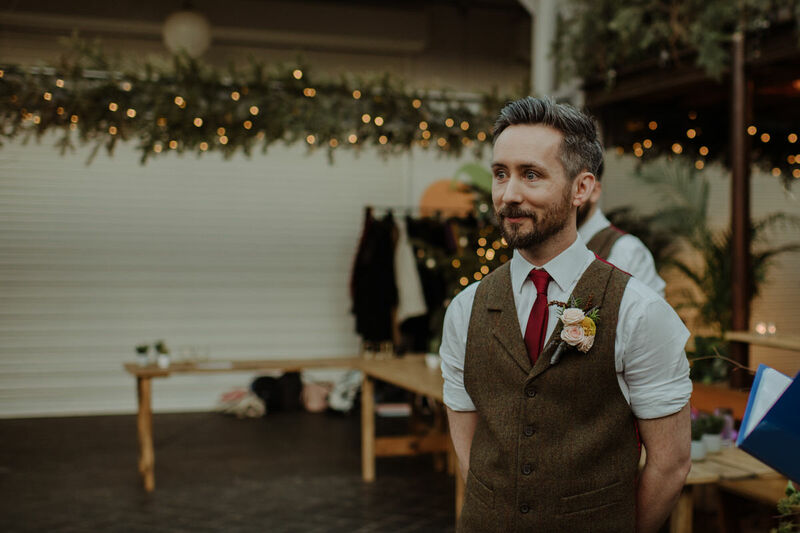 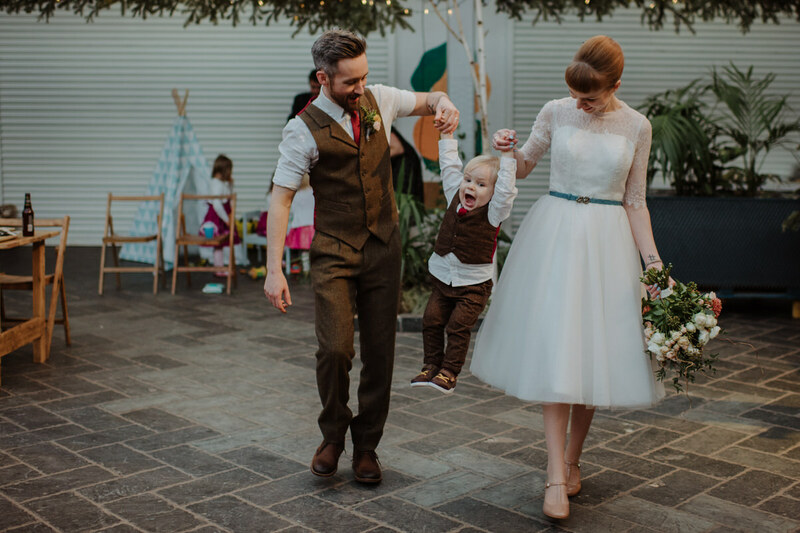 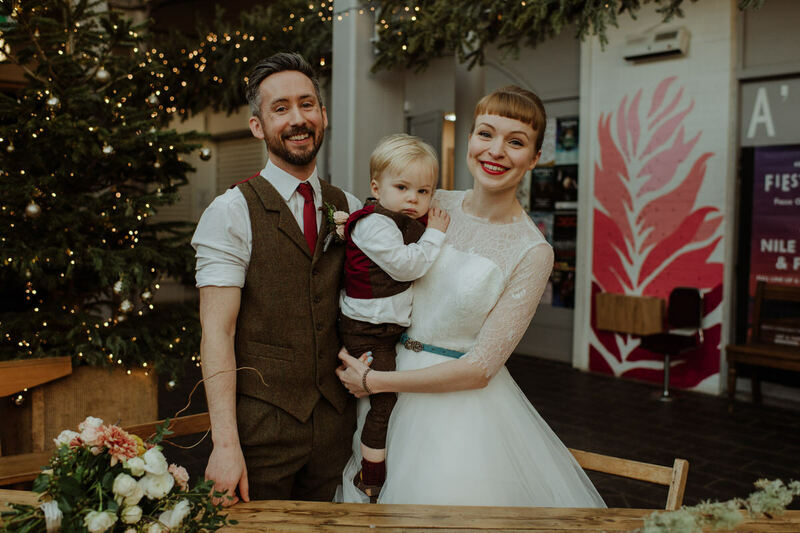 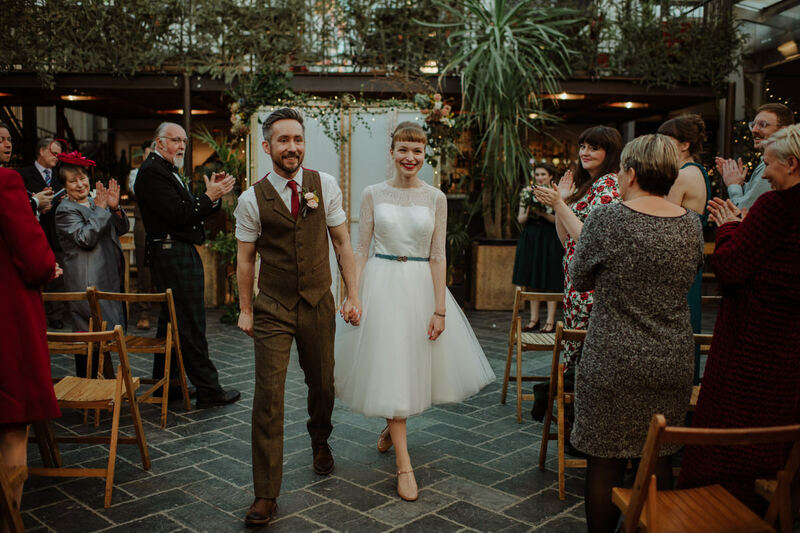 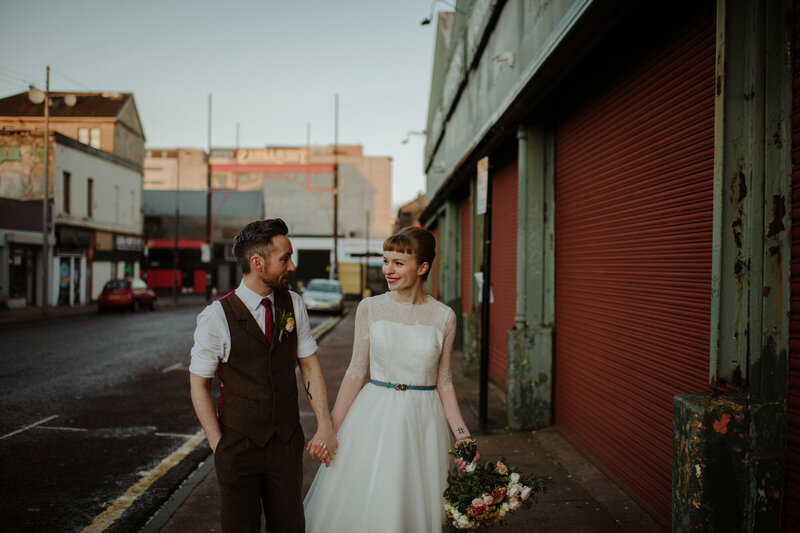 I always get excited when I hear of a new wedding venue opening in Glasgow so when I heard the news about Barras Art and Design I actually let out a big, "yas!". 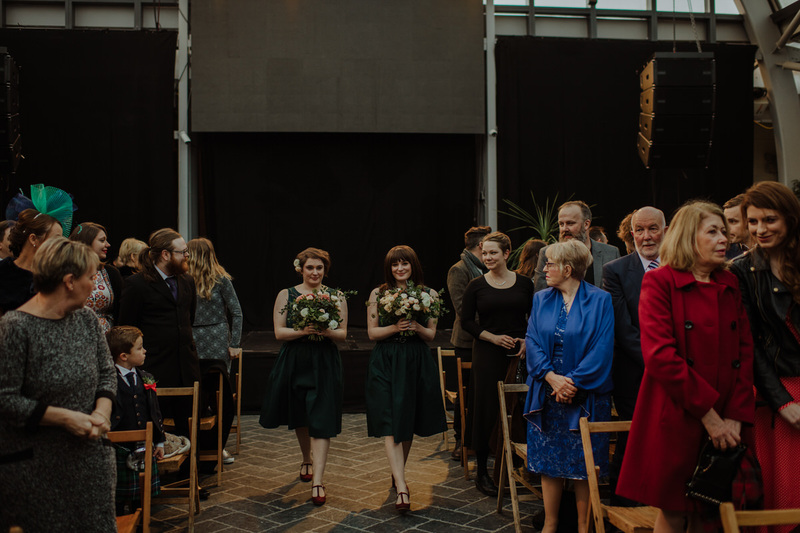 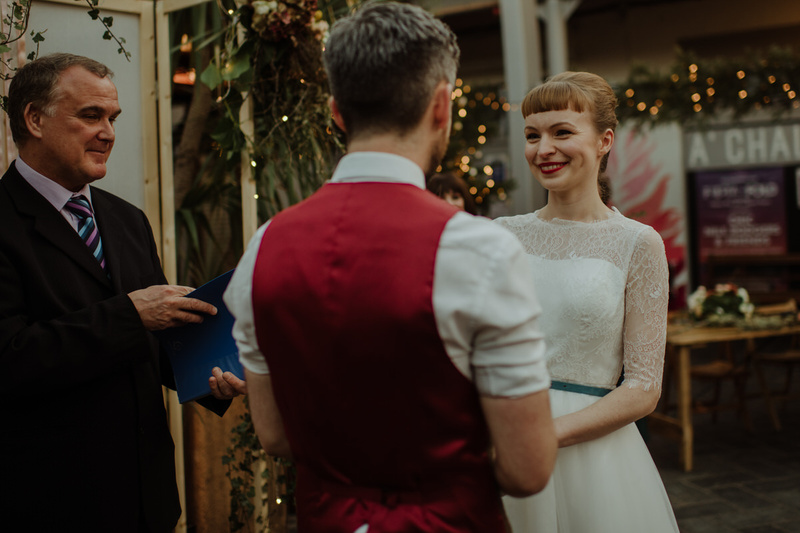 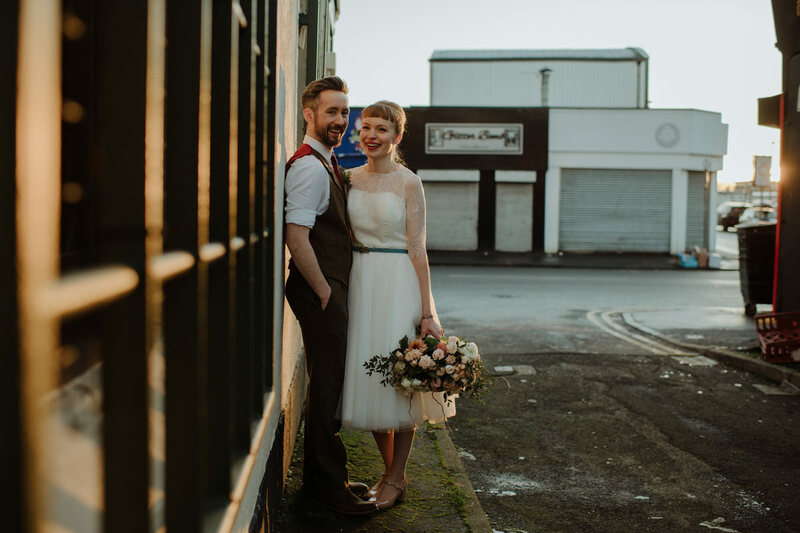 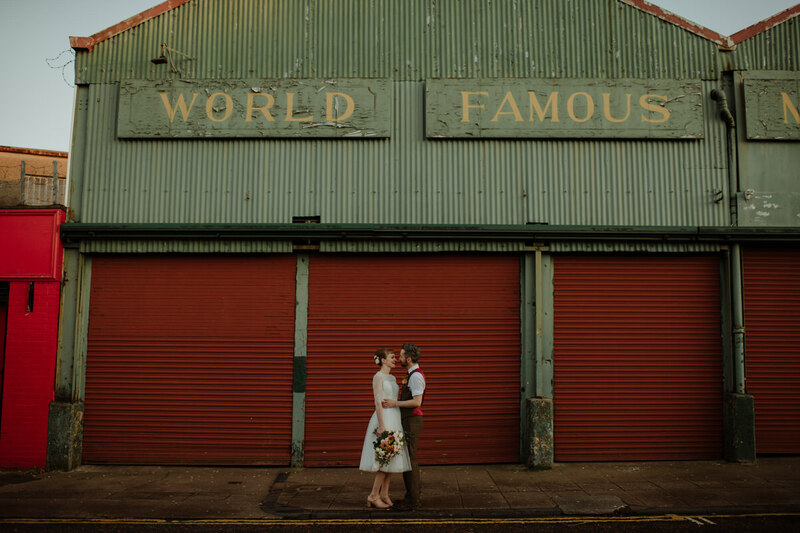 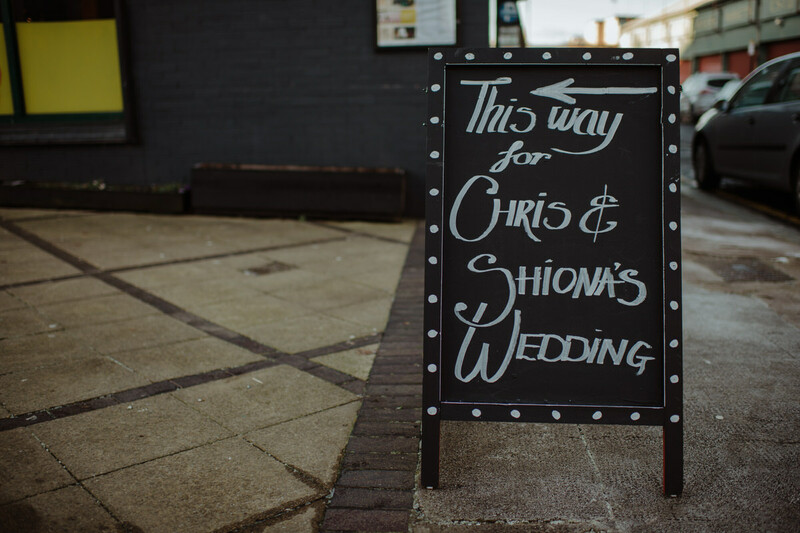 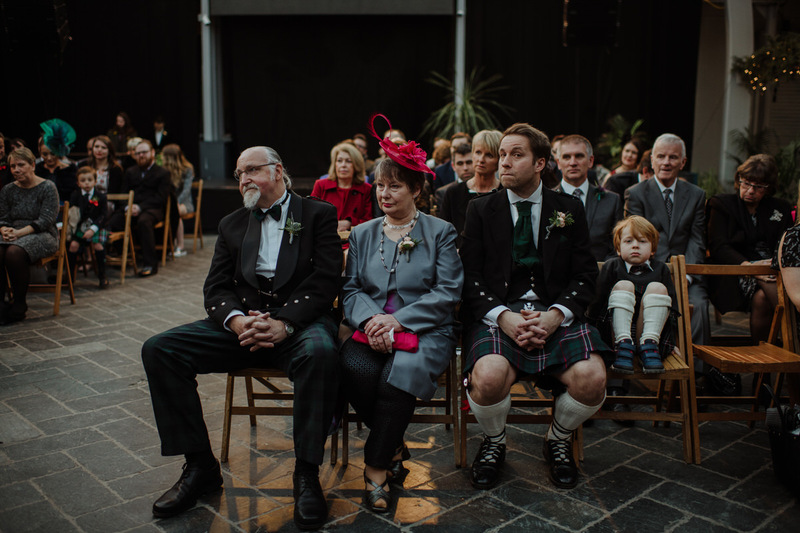 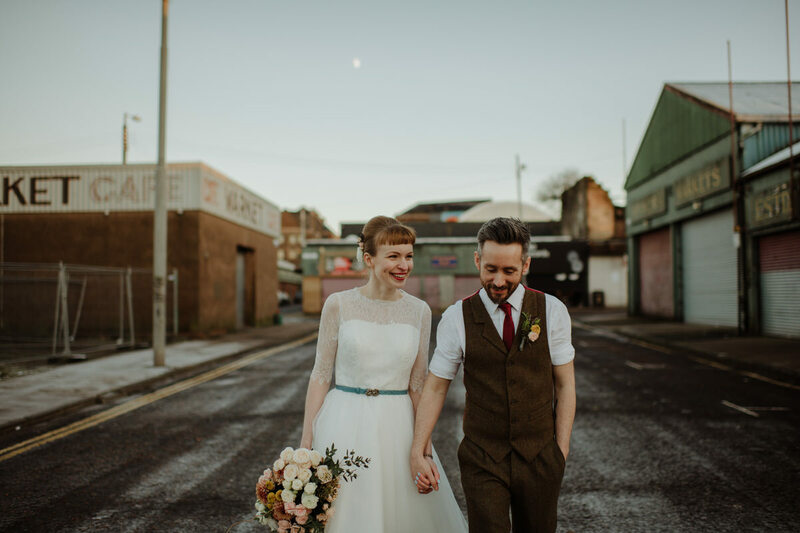 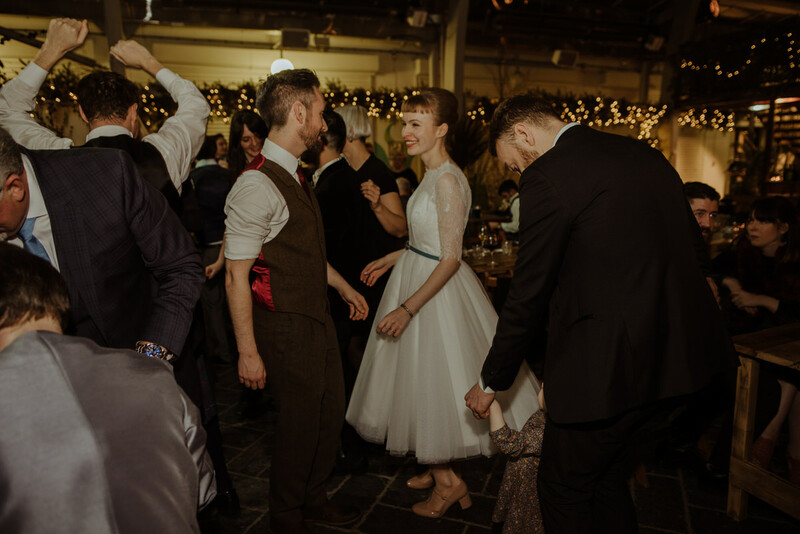 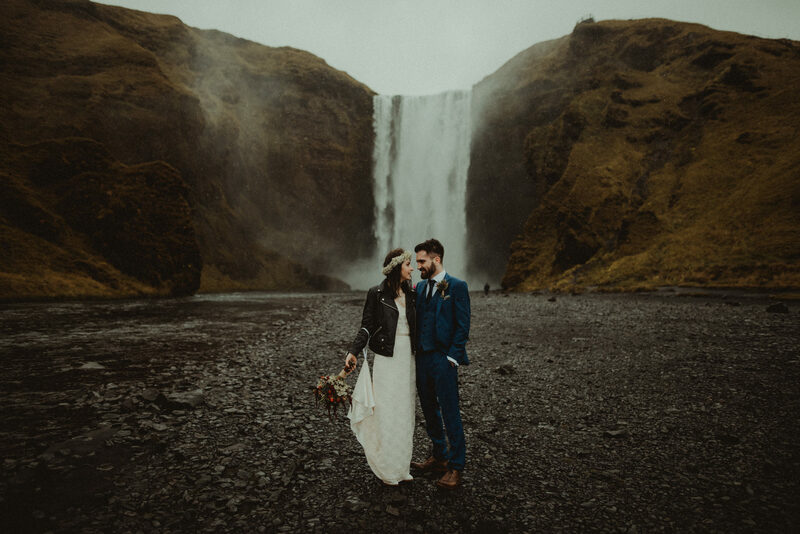 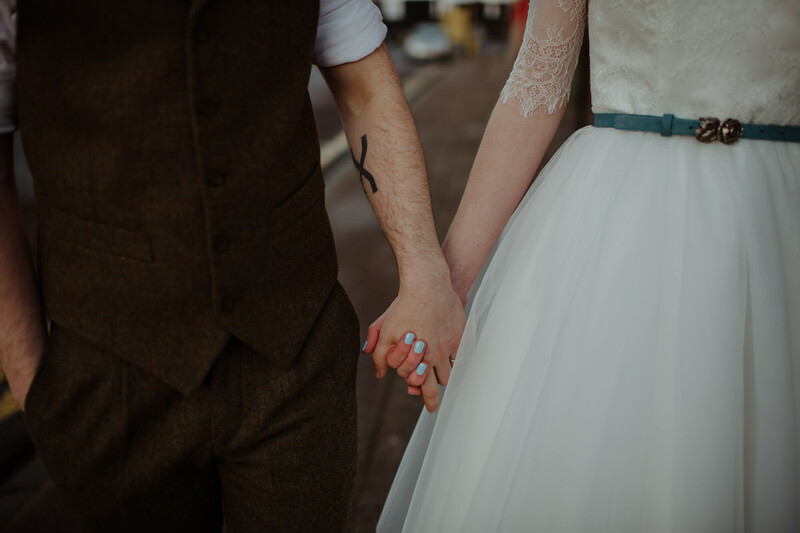 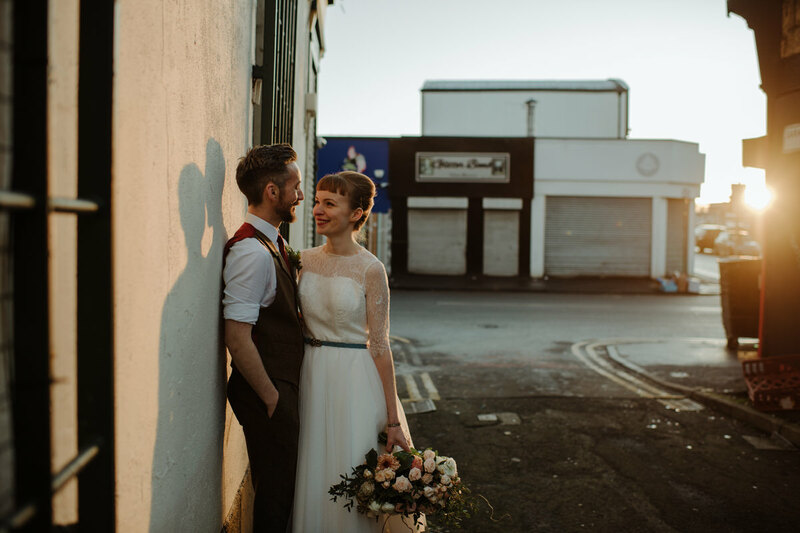 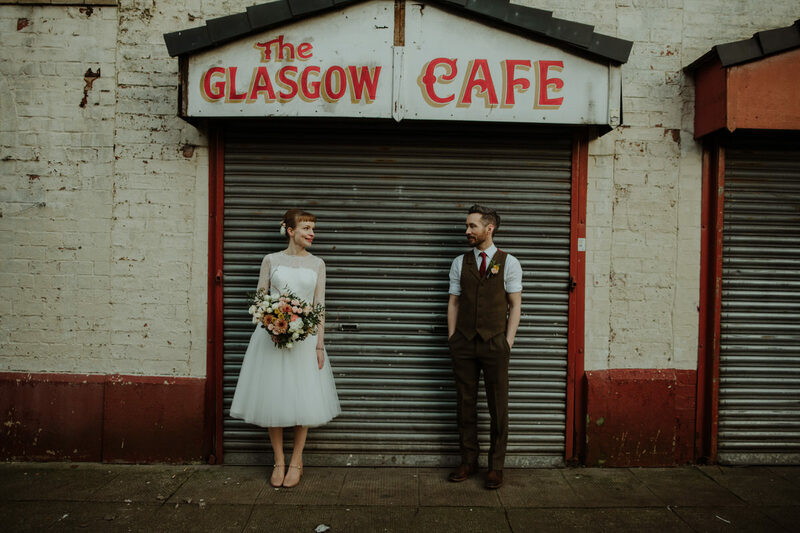 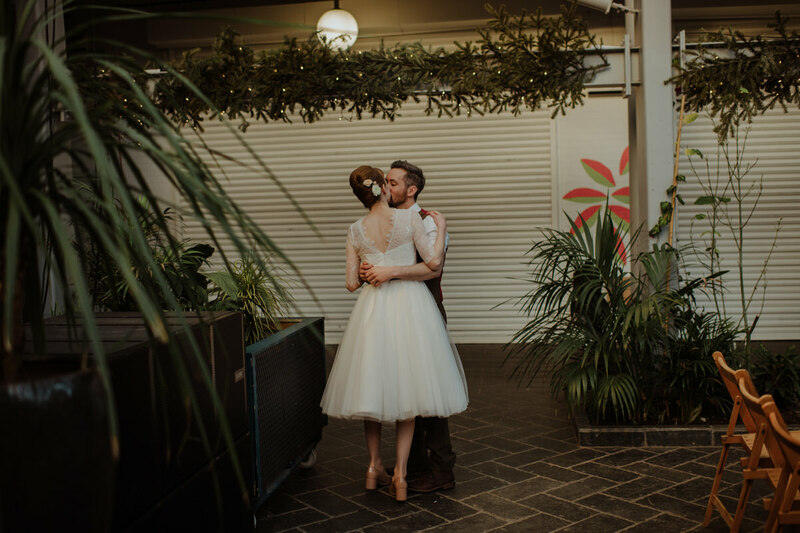 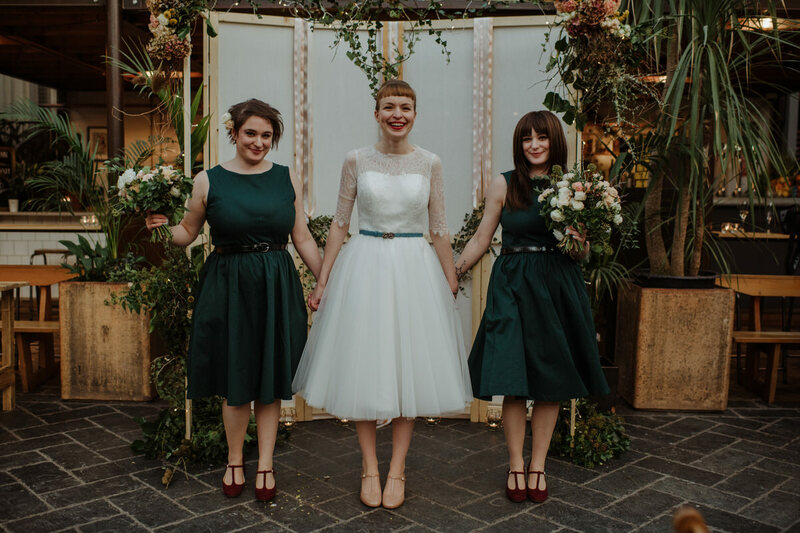 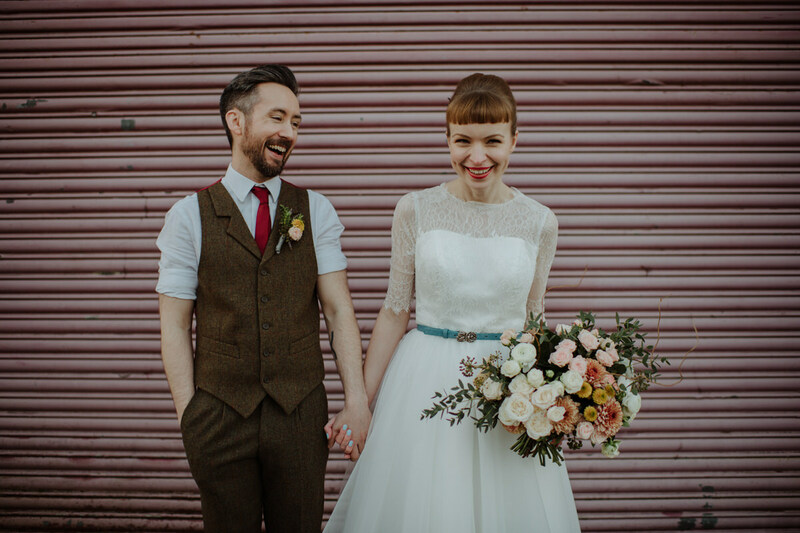 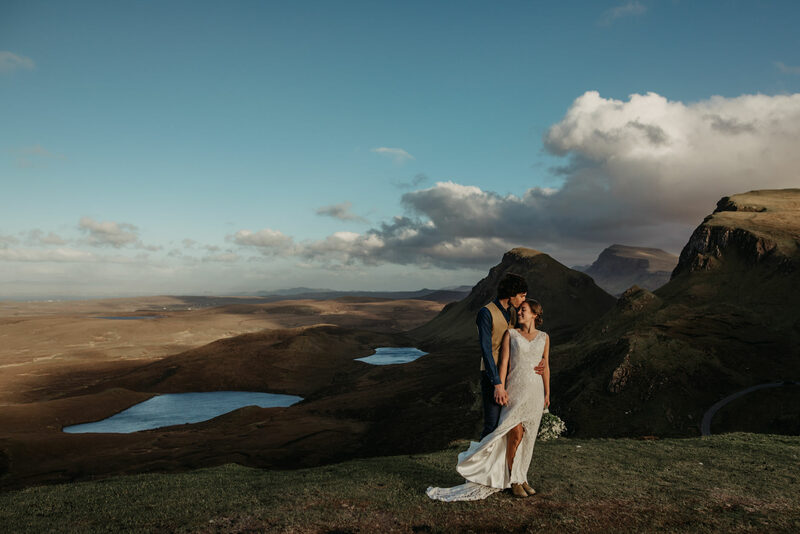 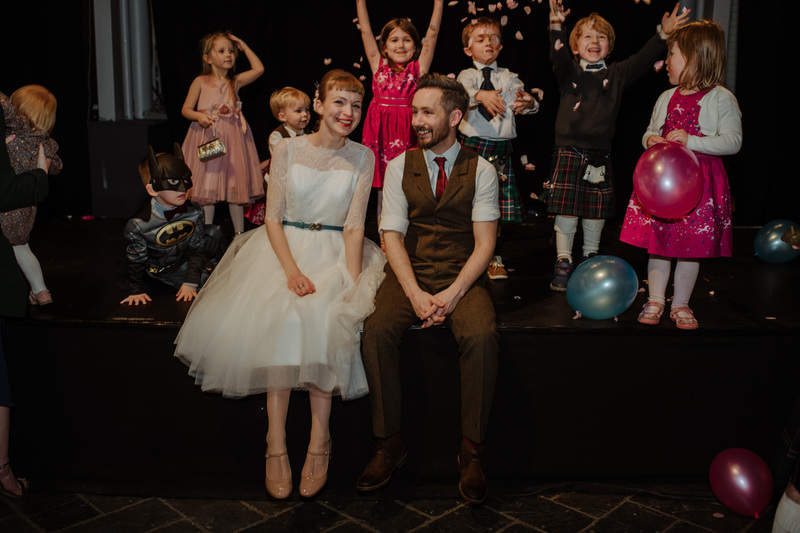 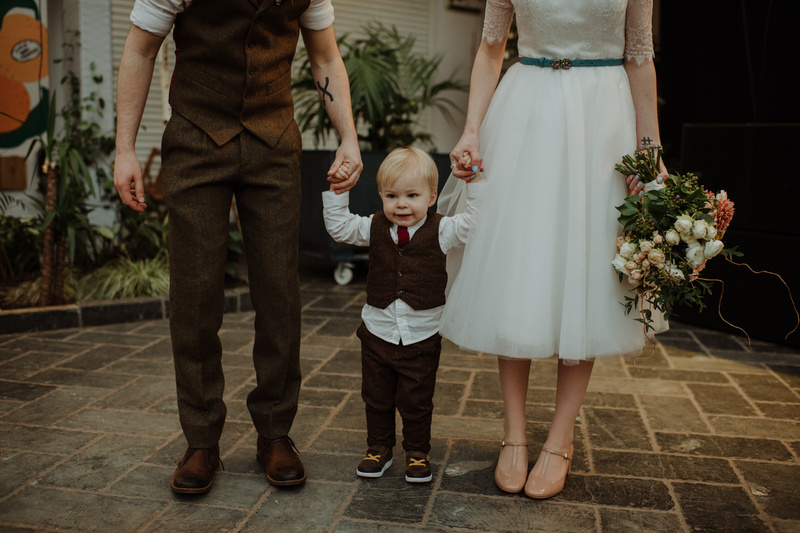 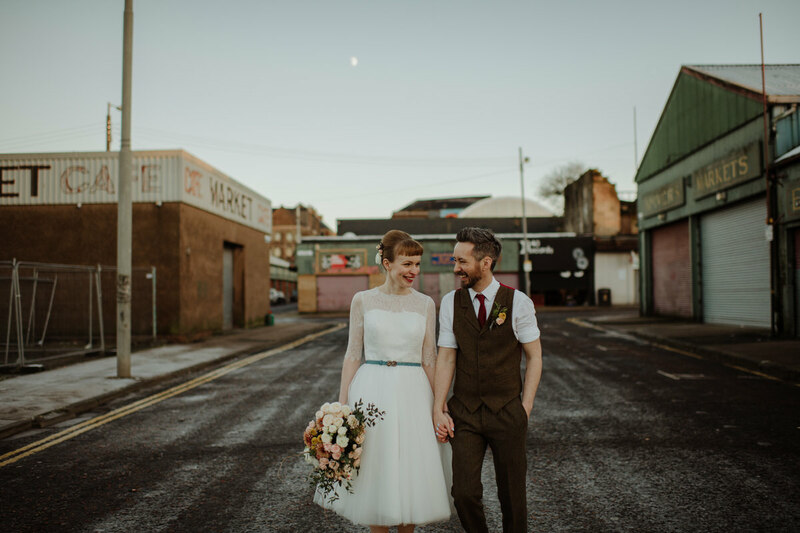 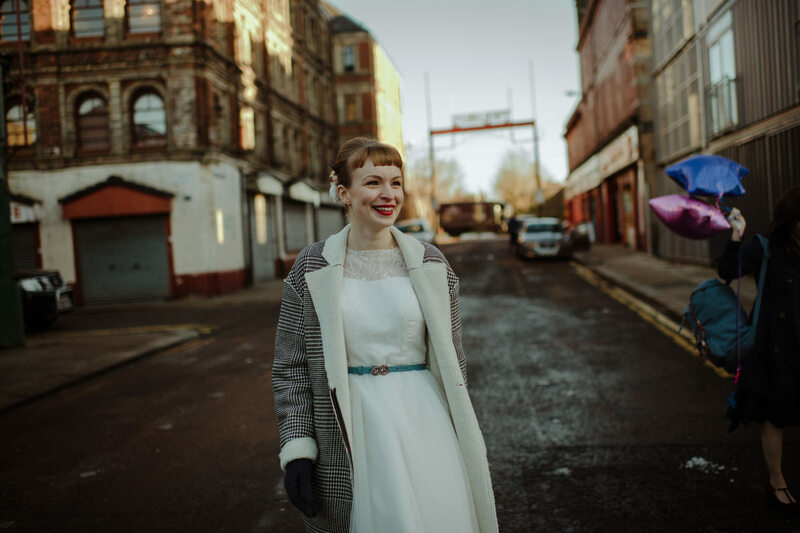 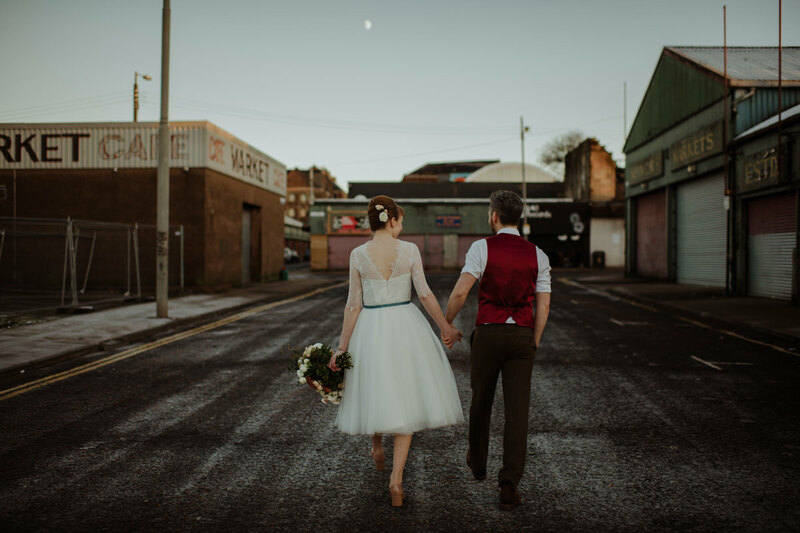 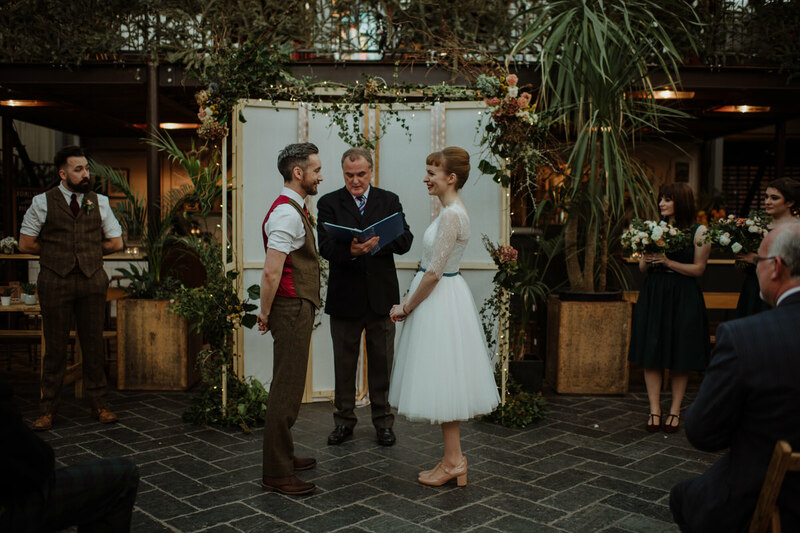 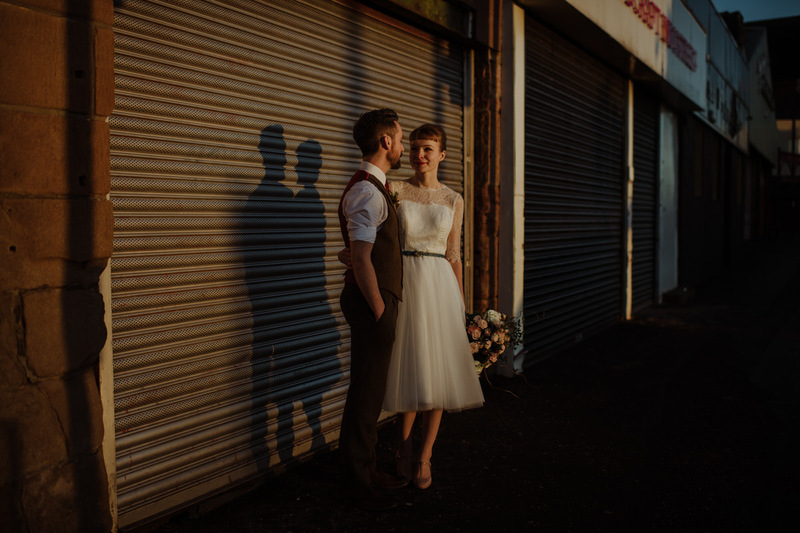 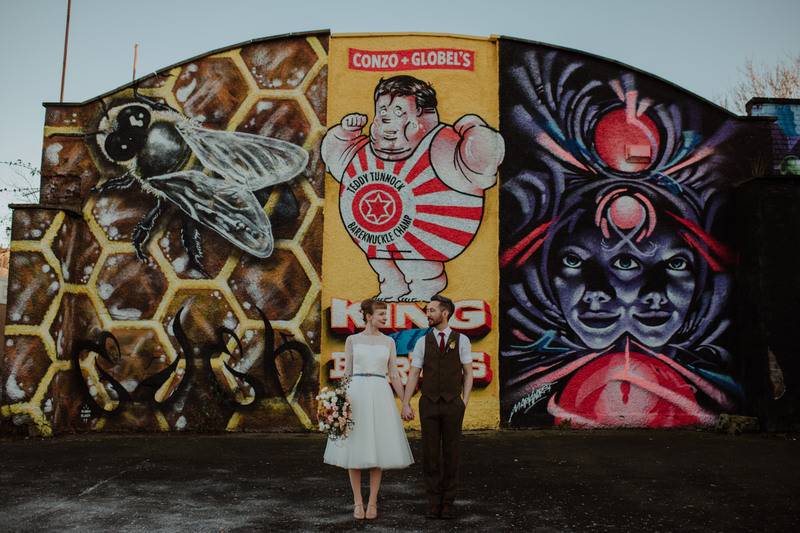 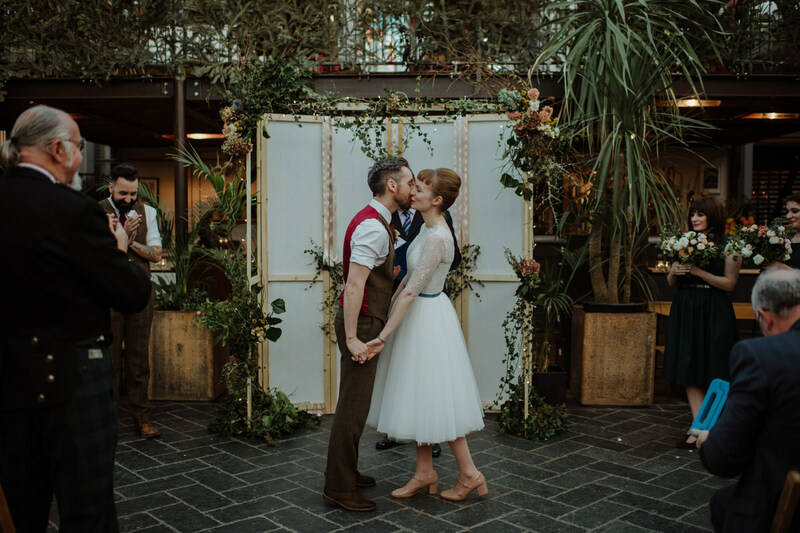 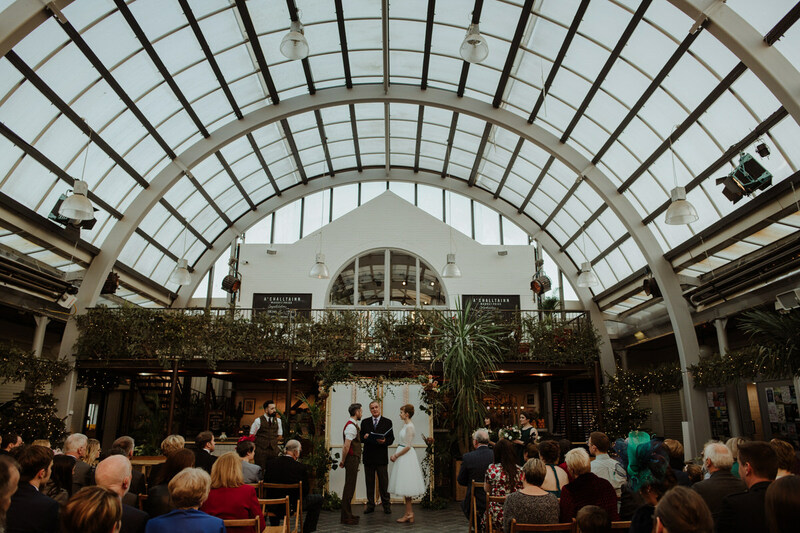 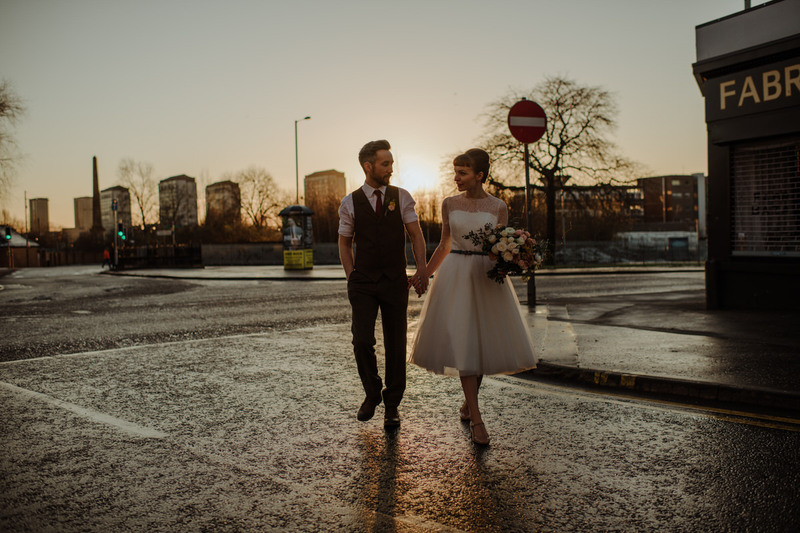 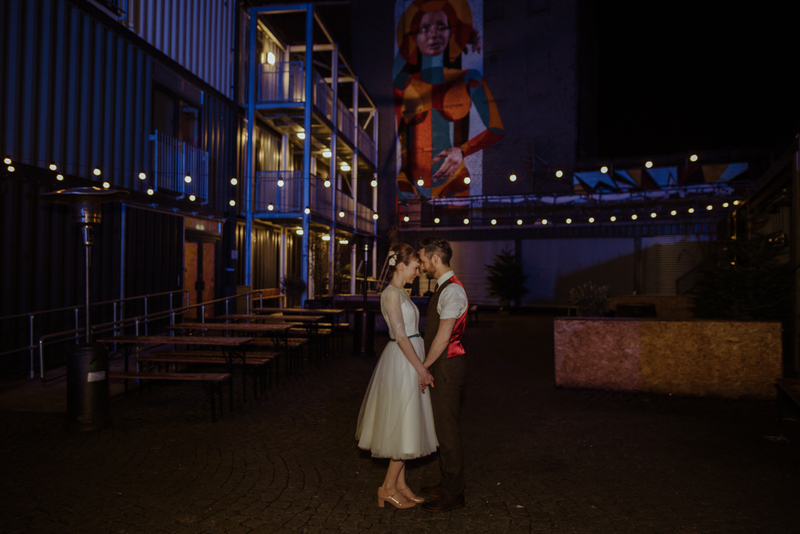 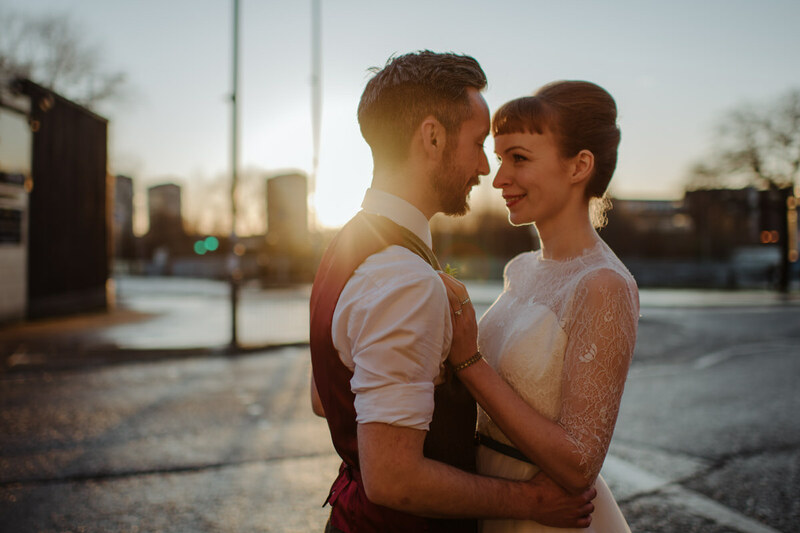 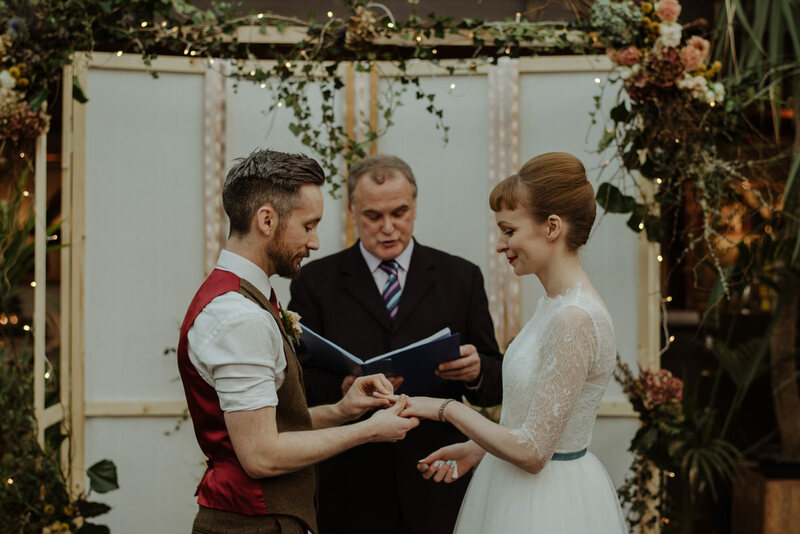 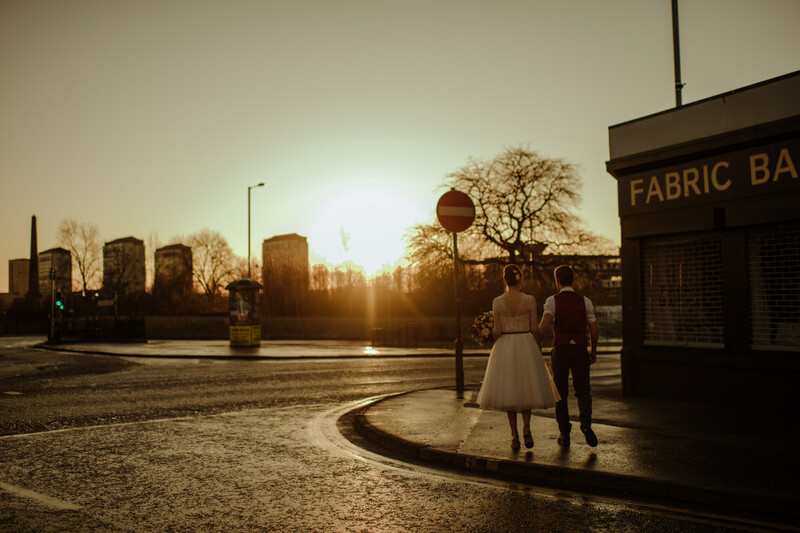 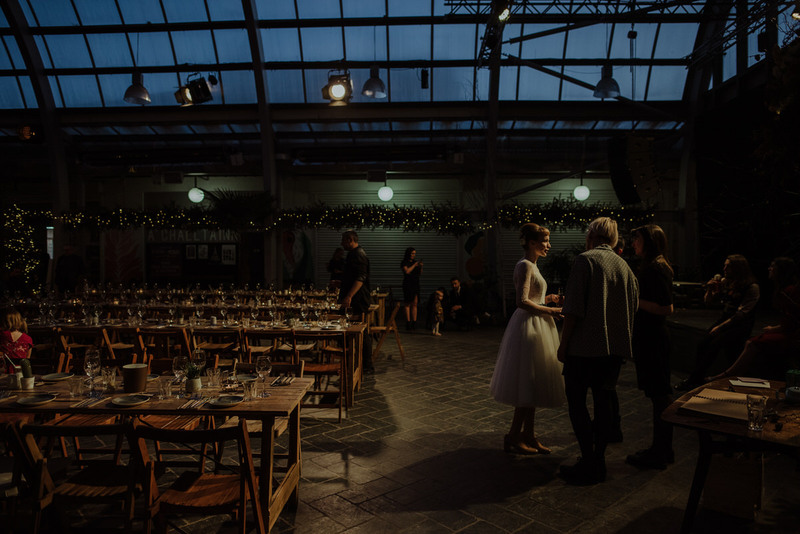 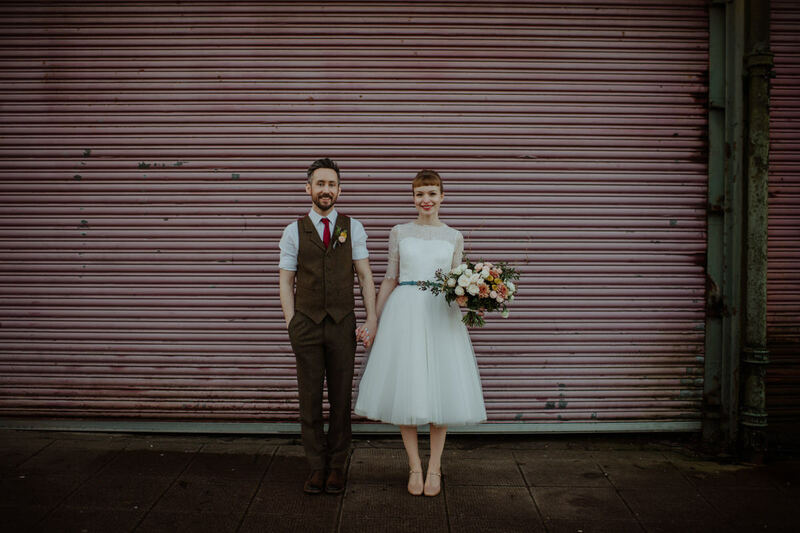 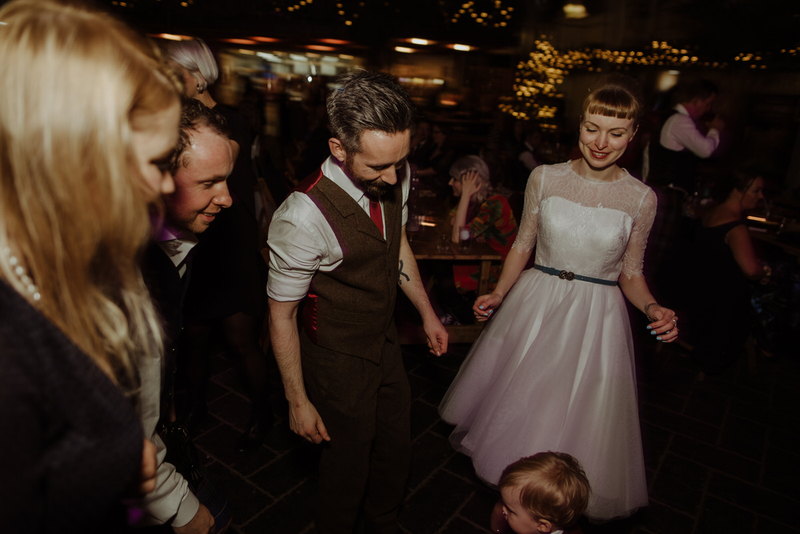 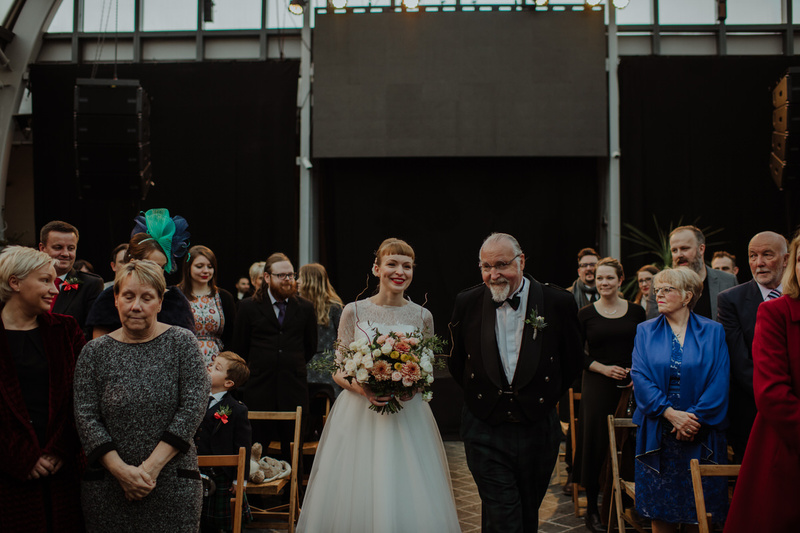 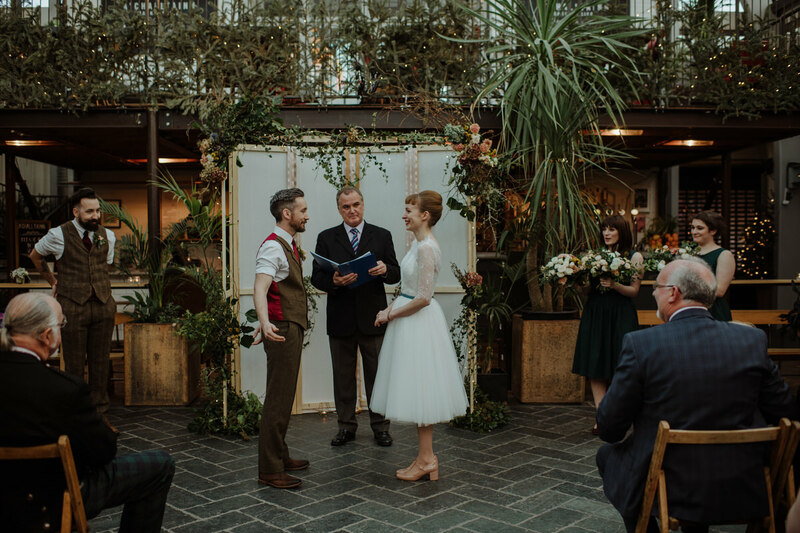 I absolutely love the grittiness and character of the Barrowlands area of Glasgow and to have such unique wedding opening in the heart of it made me a very happy photographer. 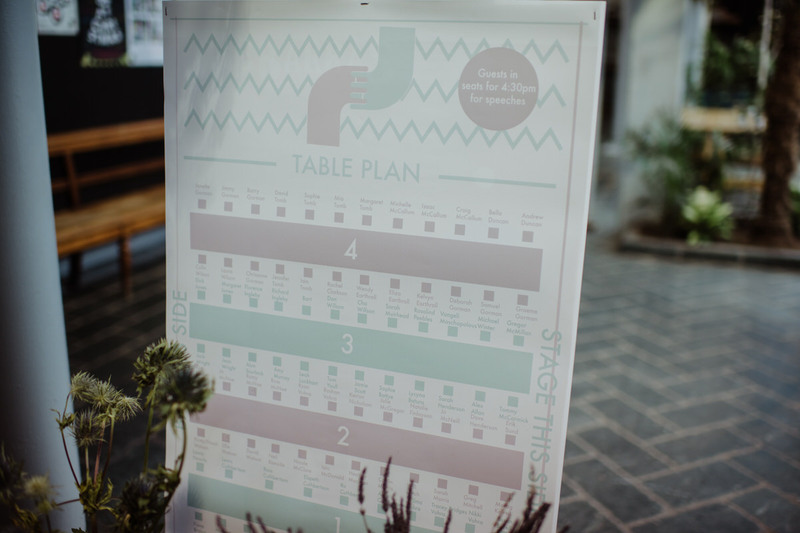 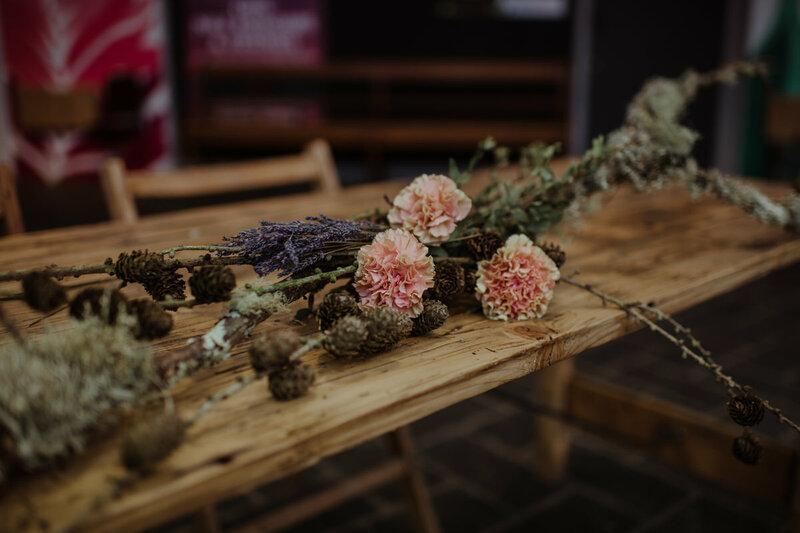 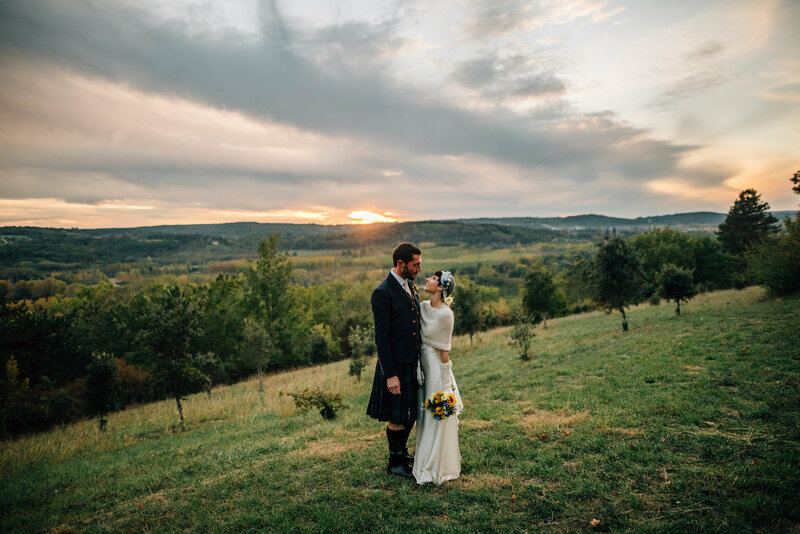 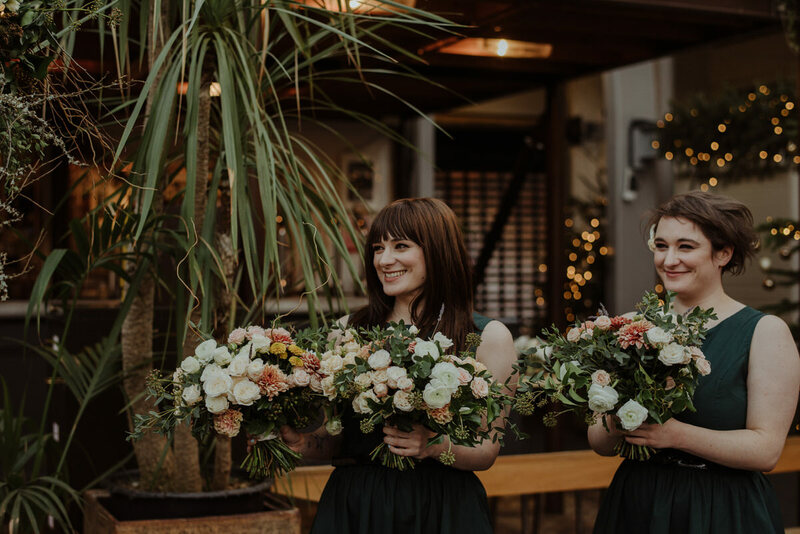 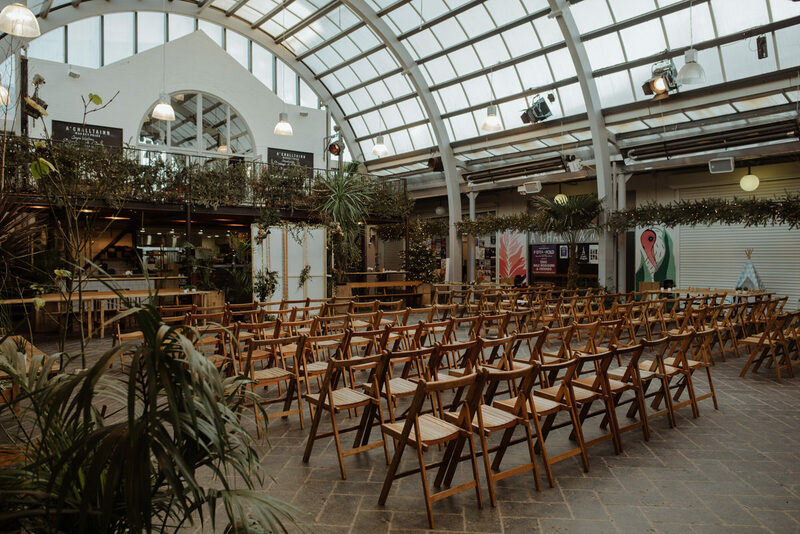 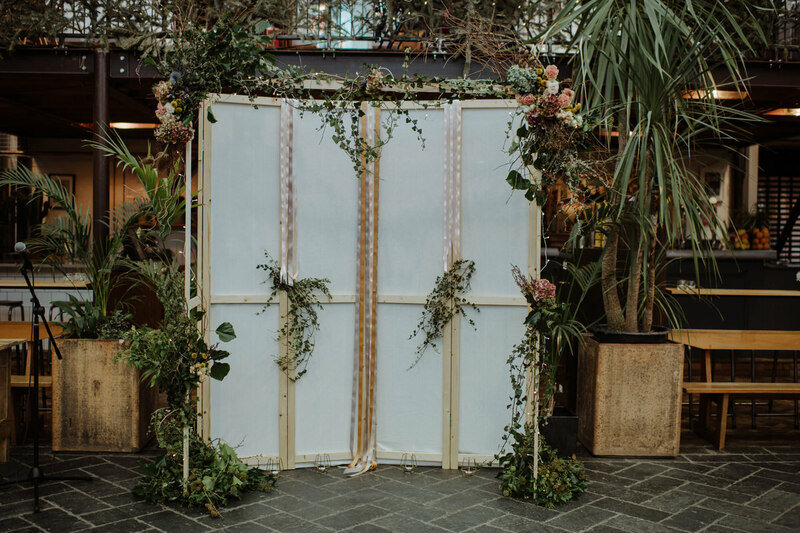 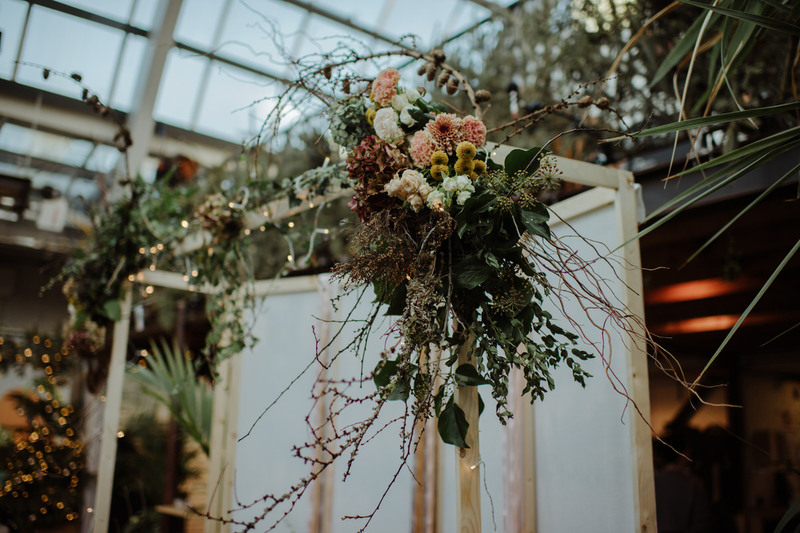 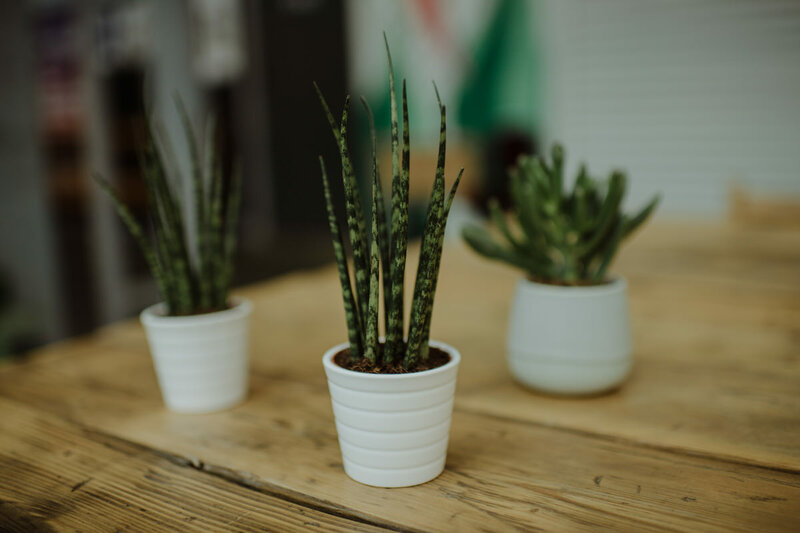 Chris & Shiona did an amazing DIY job decorating this venue with fresh flowers and clever design elements throughout which complimented the light and airy space.